Here you can find all information about the cannabis breeder OG Raskal Genetics. 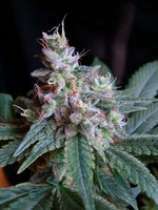 We've collected data about 16 Cannabis Strains breed by OG Raskal Genetics (1 of this strains got reviews of the SeedFinder users, with an average rating from 0 out of 10!) 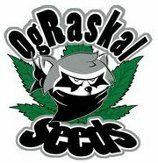 Click on the strains to find more informations, pictures, reviews, comparisons and sources for a variety - and/or check out the Breeder Info here at the page to find out more about OG Raskal Genetics. Its also possible to visualize all OG Raskal Genetics strains together with all their Parents or Hybrids with our dynamic maps - check it out! Click here to visualize all OG Raskal Genetics strains including all known hybrids and descendants with our dynamic map! Here you can watch all OG Raskal Genetics strains and their ancestors (sorted by origin) with our dynamic strain map! OG Raskal originates in California where for the last few years he has been breeding the world renowned The White and Fire Alien Kush strains which are the basis for crosses throughout this seedbank. These strains are already well known in California and the USA, and are now available from puresativa.com in the UK. 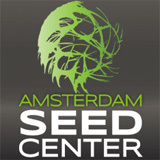 We are the exclusive and official distributor in the UK for these seeds.